A long, deep green thread exists in American literature from Ralph Waldo Emerson and Walt Whitman through Herman Melville and William Carlos Williams on to Terry Tempest Williams, Wendell Berry, and Colson Whitehead. This literature has influenced how we perceive our environments and, in the process, many planners, designers, and conservationists, including Frederick Law Olmsted, Jane Addams, Aldo Leopold, Lewis Mumford, Ian McHarg, and Anne Whiston Spirn. These readings trace this green thread and exhibit its influence on how we shape our environments through design and planning. The readings focus on green literature as well as design theorists and theories. Three of the most important theorists in environmental planning and landscape architecture are Frederick Law Olmsted Sr., Charles Eliot, and Ian McHarg. The senior Olmsted pretty much created the field of landscape architecture, adapting the English pastoral aesthetic for the rapidly urbanizing North American continent to address pressing urban issues. Arguably, the planning profession in the United States also began with the senior Olmsted. Charles Eliot was a protégé of Olmsted’s. Eliot pioneered the use of comprehensive, scientific landscape inventories; originated the concept of land trusts; and designed the first metropolitan regional open-space plan. Educated in both landscape architecture and city planning, Ian McHarg influenced both fields in the late twentieth century. He urged us to better understand natural processes and how people use space. 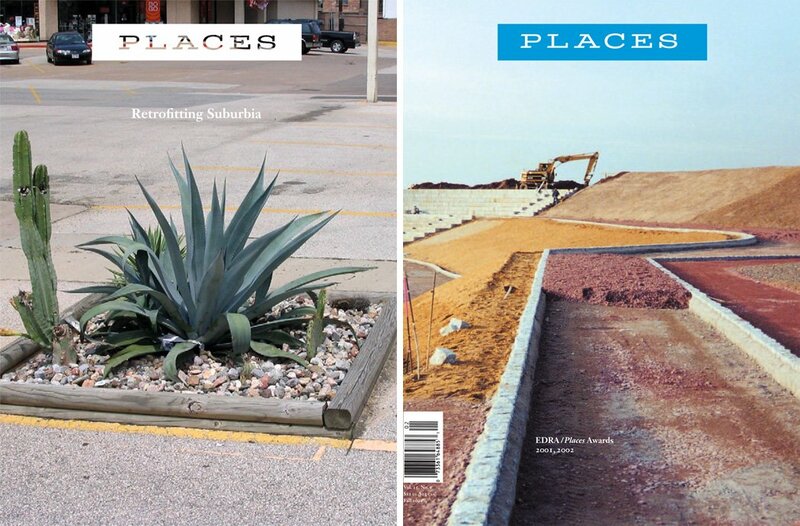 Current theories in environmental planning and landscape architecture addressed by the Environmental Readings list include: frameworks for cultural landscape studies, the future of the vernacular, ecological design and planning, sustainable and regenerative design, the languages of landscapes, and evolving views of landscape aesthetics and ethics. The readings are from a seminar that I teach each spring at The University of Texas at Austin. I inherited the Environmental Readings seminar from my Arizona State colleague Laurel McSherry (now at Virginia Tech) when she went on sabbatical with a Rome Prize. At Texas, I have reworked the course on Laurel’s inspirational foundation to make it my own. Mostly, landscape architecture and planning students enroll in the class. However, I have also had architecture, history, public administration, geography, sustainable design, and urban design students take the seminar. Every year or two, I use a different, recent book, usually a novel, to conclude the semester. This book situates green city design as it compares with other perspectives. Barnett provides a clear overview of the main urban design traditions. Beatley advances the concept that sustainability needs to be grounded in specific attributes of places. He offers many practical ideas for place-making and community planning. Birch and Wachter compiled timely essays that address urban sustainability and contemporary environmental issues. The topics include environmentalism at several scales, how to undertake environmental design and planning, and how to measure green interventions. Buell recalls the green thread in American literature. He illustrates how fundamental environmental concerns are to American culture. This reflection accounts a Rome Prize recipient’s year in Italy with his wife and infant twin sons. In addition to providing an insightful portrait of the American Academy, Doerr presents an exquisite paean to Rome, with a naturalist’s eye. This book is about the great Northwest 1910 forest fire in Washington, Idaho, and Montana. The fire was the largest ever in American history. The response to the natural and social disaster helped ensure President Teddy Roosevelt’s environmental legacy and solidify the role of the U.S. Forest Service in large-scale land management. This biography of the landscape architect Charles Eliot was written by his father, also Charles Eliot, who was the president of Harvard University. The book provides many insights into Eliot’s pioneering career, cut short by his early death at 38 from spinal meningitis. This collection of student papers was compiled from the 2012 Environmental Readings class at The University of Texas at Austin. The papers help illustrate what students learn in the seminar as well as their interests. The subtitle explains the theme of the book. It is a tale not told in Robert Caro’s sweeping biography of Robert Moses, The Power Broker. Flint uses the story to provide insights into Jane Jacobs, one of the most important urban theorists of the twentieth century. Halprin was perhaps the most important landscape designer of his generation. He also was an engaging writer. This autobiography is a moving account of his work and its meaning. Kingsolver humanizes the consequences of global climate change through a story set in her native Appalachia. In this disturbing look into a future of environmental collapse, the writing is perfect. McHarg was the most important landscape theorist of his generation as well as a significant environmentalist and urbanist. He was also a colorful person who lived a rich life. McHarg takes the reader through that journey in this autobiography. In addition to his well-known book Design with Nature, McHarg wrote many academic and popular essays. McHarg and I assembled the most significant papers in this book. Ndubisi collected benchmark essays that trace the advance of ecological design and planning. It is a comprehensive reference about the history, theory, and emerging practice of ecologically based design and planning. Of the several biographies about Frederick Law Olmsted, Sr., this is the best. As an architect and writer himself, Rybczynski does a masterful job explaining Olmsted’s design and literary contributions. Rybczynski presents a detailed description of the American suburban development process. An idealistic developer, fueled with a New Urbanist vision, attempts to convert Pennsylvania farmlands into a model community. Banks, zoning boards, and neighbors (that is, reality) alter that vision. Spirn’s wonderful analysis of landscape meanings reveals the complex language of our environments. She advocates ways to better learn to read landscapes in order to improve our lives. This compilation of McHarg’s essays is a shorter version of To Heal the Earth (see above). In the early 1990s, George Thompson and I pulled together some of the leading environmental design and landscape architecture theorists as well as several emerging voices. A design competition jury for a 9/11-like memorial selects an American Muslim architect and controversy ensues. The book provides keen insights into architecture and its cultural and political context. The treatment of landscape architects, however, is less sophisticated. Whitehead uses zombies to explore environmental dysfunction. Williams tells a riveting, personal account of her mother’s cancer and its origins in environmental abuse. This book presents a full-throttle declaration of Williams’ views on the ethics and politics of place. She advocates “spiritual democracy” as well as citizen engagement. As in Understanding Ordinary Landscapes (above), J.B. Jackson is used as the foundation for these essays by journalists, historians, architects, geographers, planners, and landscape architects.